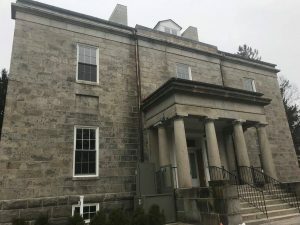 Located on the grounds of the Shrine of St. Anthony in Ellicott City, Carrollton Hall was designed by Baltimore architect William F. Small, who apprenticed with Benjamin Henry Latrobe in Baltimore and Washington from 1818 to 1820. It was built by Charles Carroll of Carrollton, the only Catholic signer of the Declaration of Independence, and the only surviving signer at the time, on 1000 acres of his Doughoregan Manor estate his for his granddaughter Emily MacTavish in 1831-32. The house remained a country retreat and farm until 1924, when it was sold to a developer and the farm was subdivided. The Novitiate of the Franciscan Fathers Minor Conventuals of Maryland purchased the mansion in 1928. At that time the house became temporary living space for the friars and offices for various church functions. The period of significance, 1831-1924, begins with the construction of the house and ends with the transfer of the property out of its original use as a country estate. 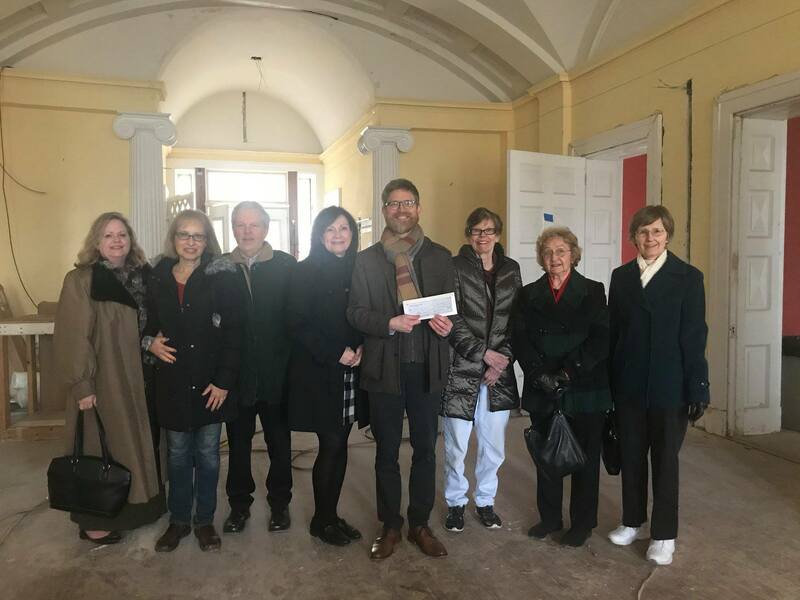 Today with the help of contributions, the building is undergoing a massive over $3 million rehabilitation which will establish Carrollton as an exhibit, event, and meeting space for the community. Carrolton Hall — designed by Baltimore architect William F. Small, who apprenticed with Benjamin Henry Latrobe in Baltimore and Washington from 1818 to 1820. It was built by Charles Carroll for his granddaughter Emily MacTavish. Renovations on the Heritage Room that Historic Ellicott City is sponsoring. 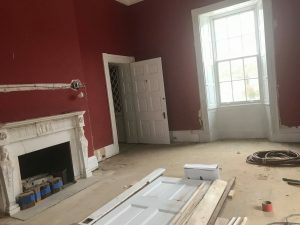 When finished these two parlors will house the permanent exhibits detailing the history of the mansion and property from before the home was built until today.